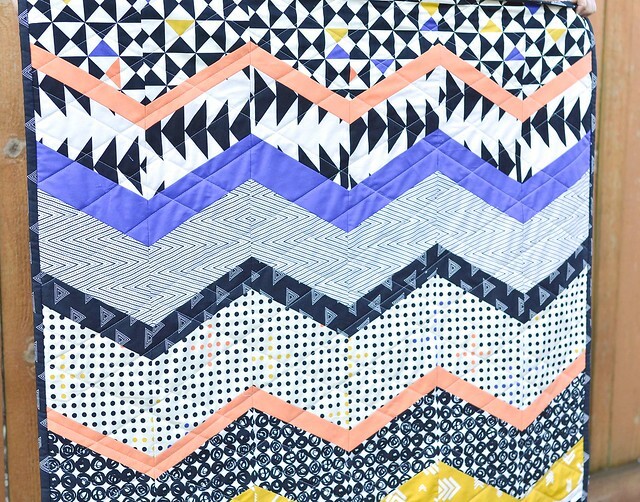 This month I used my Culcita Box fabrics to make a chevron baby quilt. Like I mentioned, these fabrics are a little outside my comfort zone. As a general rule for myself, I try not to buy fabrics that have a lot of contrast within them. They are beautiful and some people do beautiful things with them, but I tend to have a hard time using them. But despite being a little nervous about using them, I am so pleased with how the quilt turned out! I ended up omitting the pink circle fabric from the bundle because I wanted something with a little more orange to it, so I subbed in Kona Mango. I also added a black Art Gallery triangle print that I had in my stash. These are 60 degree chevrons and I quilted it with a random 60 degree grid. I was happy to find this Katarina Roccella print in my stash for the backing and I used more of the black triangle print for the binding. I stitched the binding down with Perle cotton. I have a decent little pile of leftover scraps from this quilt. Some are a little oddly shaped, but if you are interested in them, leave a comment on this post and I will choose a winner in a few days! The winner of the scraps is Kathy! I will be sending you an email shortly! 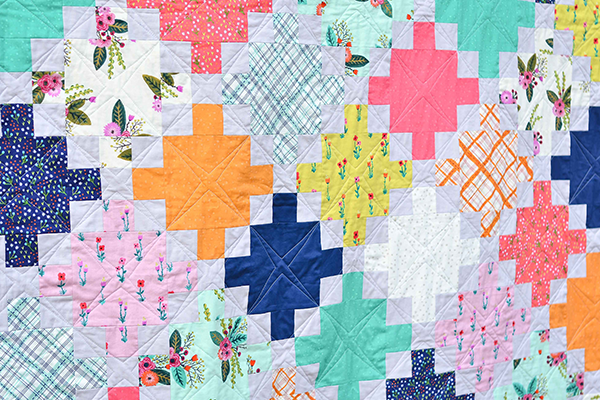 It's a beautiful quilt and the colour palette is interesting ! Thank you for the giveaway ! Beautiful quilt! I'd like a chance to win, please. Thanks. Happy Easter!!!! I'd love to give your scraps a happy home, too! So cute! Love it, would love scraps! I absolutely love this line of fabric so I would absolutely love your scraps!! Beautiful and ingenious - you should be proud that you did something out of your comfort zone. And I'd love the scraps. Your quilt is lovely. I would love your scraps! I quilt mainly from scraps, because I love the look of variety. Thanks for the opportunity. Scraps are a quilter's/sewist's best friend! I like making small items, and scraps are the way to go. Thank you for the opportunity to win! Scraps are great for improv and quilt as you go. Would like to use these. Your fabric placement in the quilt is very nice :-). Love to win some your scrap fabrics. Thanks!!!!!!!!! 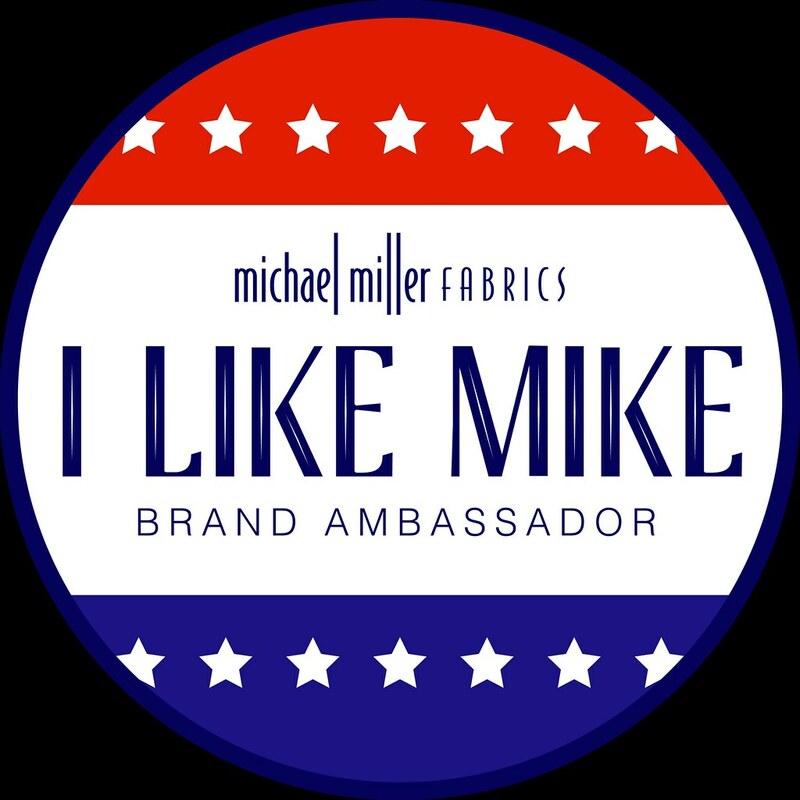 I never would have dreamed of using these fabrics the way you did. It's fabulous! I have been using a lot of Civil War Reproduction fabrics lately, and could use some more modern fabrics for a change. 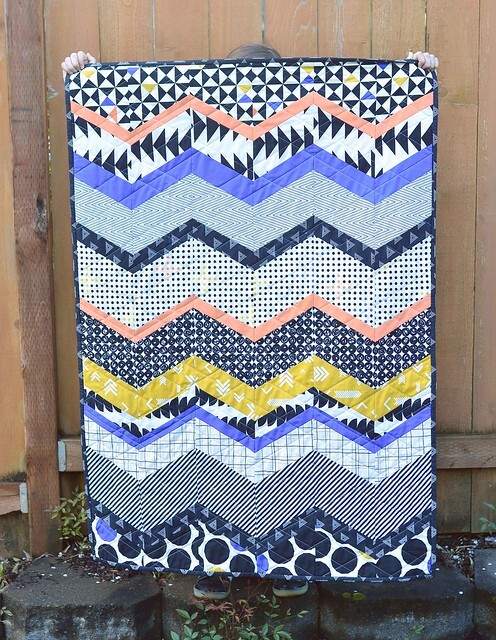 I really like chevron designs and you conquered this one with these pretty fabrics! I would love to use up your scraps to make some great scrappy bibs! That really is a fabulous design on your quilt. I really love it. Great quilt! Would love the scraps. Love the bright colors. Would love the scraps as I have been making placemats for my grandson's. Thank you. What a clever way to combine those fabrics! Love it! I have always loved working with scraps - thanks for the chance to win some. 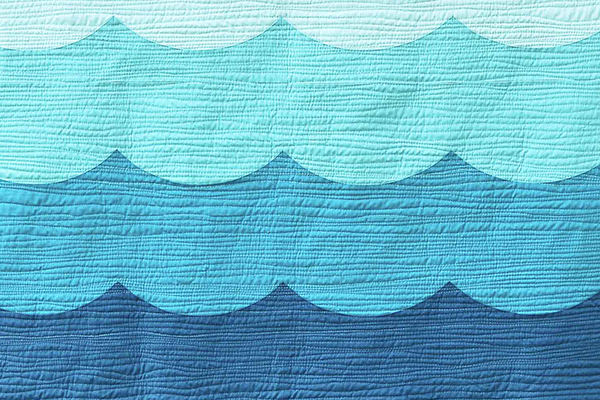 Your choices were great as in fabric and pattern as well as the quilting design. My favorite part of this quilt are the pops of peach. So pretty! 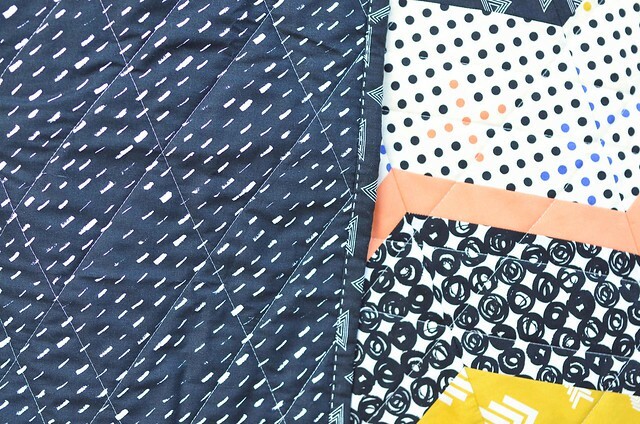 The fabrics may be outside your comfort zone, but the quilt turned out really cute! Love this cute little quilt. I love all kinds of scraps as I make mainly scrappy quilts. Thanks for the giveaway. What a beautiful quilt. I love making scrap quilts for babies and lap quilts and they are well loved by our elder church members. Thank you for the giveaway. A lovely quilt! I love the colour combo, especially with the addition of the peach! such a lovely quilt! i really love the colors and fabric you used! While the quilt fabrics may have been out of your comfort zone you did an awesome job on this quilt. There is lots of visual interest and excitement. Great job. I love your quilt! Bold fabrics tend to intimidate me, but I'm trying to outgrow that . I like the contrasting fabrics and colors. I would use your scraps for prayer quilts I make for my church.. I love scraps! 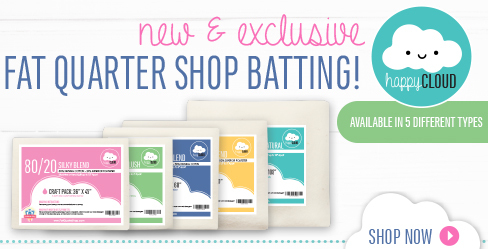 And these fabrics are so fun! Thanks! 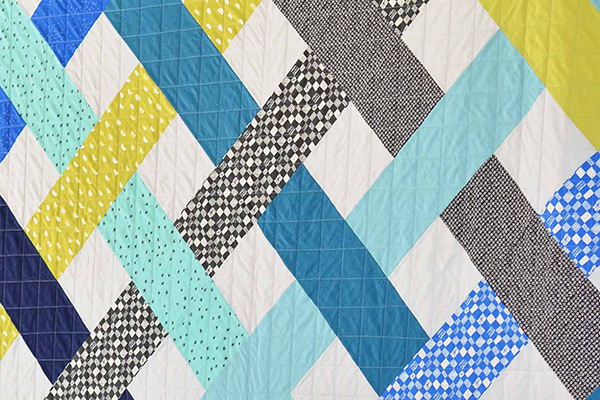 Love the bold colours and prints in your quilt!!! Would love to play with your scraps!!! I really like this quilt! The colors and prints are shown off in the pattern very well.